Come and get oysters for just one dollar a piece every Sunday! Open at 5:30, call for a reservation because the oysters sell out fast! 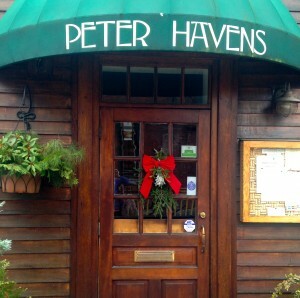 At Peter Havens we are now busily booking Holiday Parties. We can accommodate groups large and small. Call us soon to book your celebration — the season is short and we fill up fast! In this season, we extend the best of wishes to all our customers, new and old. Join us for an evening of good cheer. We’re back after a short kitchen renovation vacation and Zach is ready to cook! 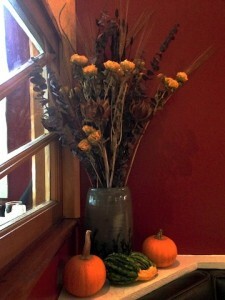 Only a few reservations remain for Thanksgiving, with mid-afternoon (2:30 and 3:00) time slots. Please call or email us soon if you’d like to spend your holiday here! We are also booking Holiday gatherings large and small in December. Call soon to get your preferred date. We can do full-restaurant bookings for 20 or more people on Monday and Tuesday nights, or parties of up to 15 on nights we are normally open (Weds-Sun). We are taking a quick week off to complete some work in the restaurant and let the staff have some well deserved R and R after a busy summer and fall!! Peter Havens will be closed for dinner service starting Wednesday November 9th through Sunday November 13, re-opening for service on Wednesday November 16th. Get your fix in before or after those dates! Also, we WILL be open on Thanksgiving. A sample menu (subject to small changes) is posted here. One more week of deck! Looks like Indian Summer around here. Deck will be open for lunch Wednesday October 5, Thursday 6th, and Friday 7th for sure! We’ll open Saturday if the weather permits as well. Join us for dinner on Gallery Walk this Friday the 7th! Fall weather is upon us! 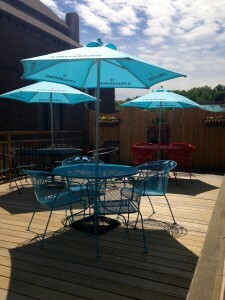 Deck dining will still be available for lunch Weds-Saturday from 11-3, weather permitting. For dinner we will only be serving the deck menu on Friday and Saturday (Sept 30, Oct 1, Oct 7th and 8th… weather permitting). Other nights the deck will be available for drinks; just stop by the bar to order! 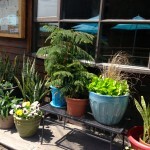 Enjoy a few last lunches on the deck! 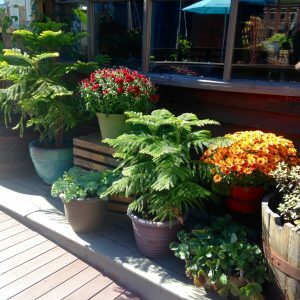 September is prime for deck dining! As the days grow shorter and the temperatures (and humidity!) go down, be sure to get your deck dining in!! We’ll be open for lunch right through September, and will continue dinner service outside as long as temperatures cooperate (hopefully right through until October if Mother Nature cooperates). As part of the Gallery Walk this First Friday, enjoy music on our deck starting at 6:30 on Friday September 2nd! 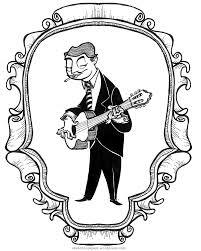 Alex Sela and Walker Detrani, classical and Gypsy Jazz guitarists, will regale deck patrons with some sweet music. Kick back with a cocktail, some oysters, and enjoy! There will be music on the deck for the next Gallery Walk on Friday Sept. 2nd, so put us on your list of things to do that night! We’ll be taking 5 pm reservations (as well as 5:30 and even 6:00 for the adventurous) on Marlboro Music Saturday Concert nights (July 16, 23, 30 and August 6 and 13th). If we’re sold out inside, the deck makes another lovely, more casual setting for a quick dinner. 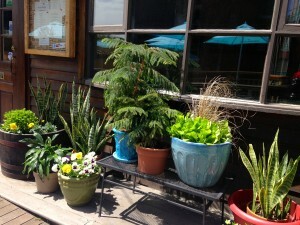 Deck Dining opens at 5:30 as usual, weather permitting. Don’t forget that we are also open on Sundays beginning at 5:30, if you need a post-concert dinner. Thanks to our many loyal Marlboro Music patrons!